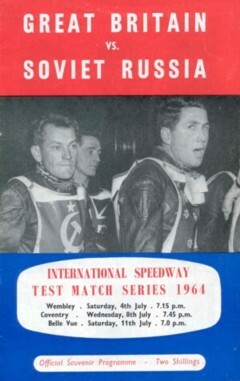 1963 This planned series was cancelled just days before it was scheduled to begin. 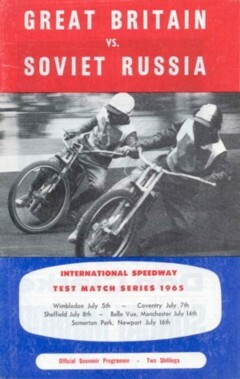 10/07/64 at Norwich Norwich 53 (Ove Fundin 18, Olle Nygren 17, Trevor Hedge 9, Billy Bales 8, Tich Read 1, Sandor Levai 0, Reg Trott 0) Soviet Union 55 (Igor Plechanov 19, Gennady Kurilenko 16, Gabdrakhman Kadirov 11, Yuri Chekranov 9) Each of the Soviet riders had 9 rides! 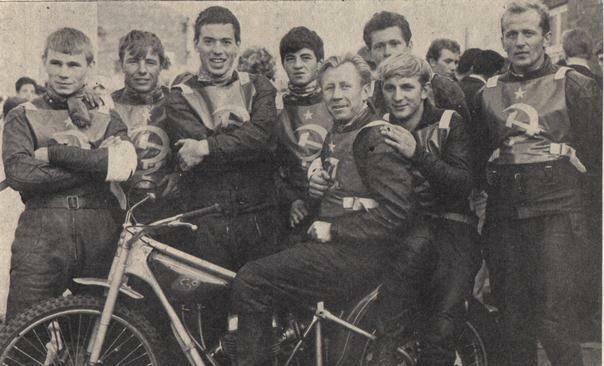 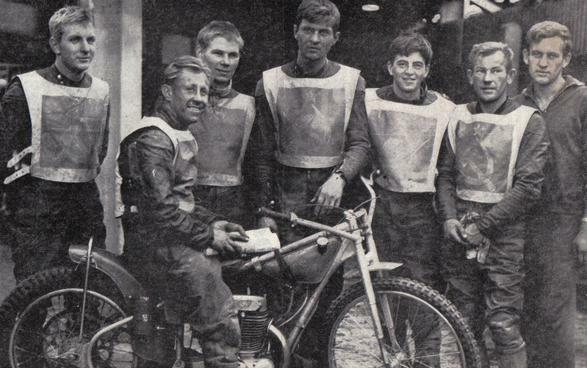 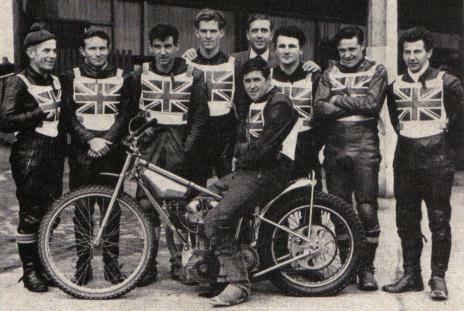 Great Britain 1965 at Belle Vue.